InstantGMP, Inc. provides a complete solution for manufacturing products that comply with Good Manufacturing Practices. 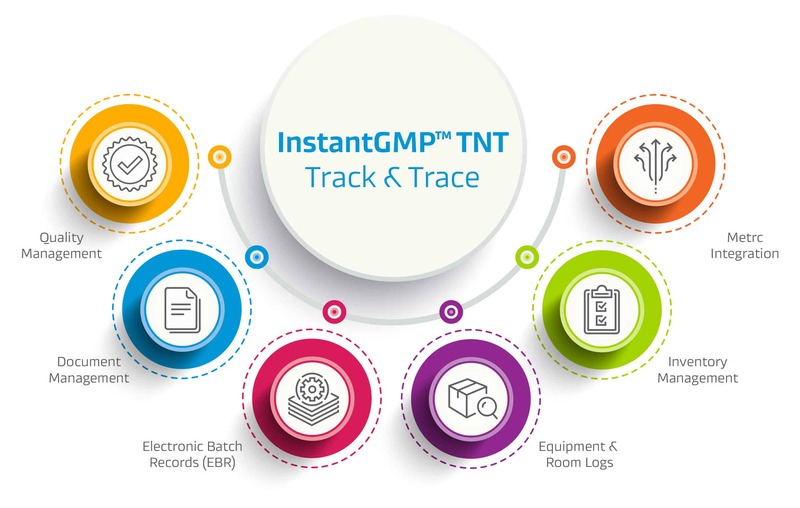 InstantGMP™ Track & Trace is a manufacturing execution software with modules for inventory management, electronic batch records, specification management, equipment control and document management for compliance with California cannabis regulations. Standard Operating Procedures provide the basis to fulfill regulatory requirements for a Quality System. Our implementation program offers training for all users of the software and ensures the software is applied correctly in optimizing manufacturing and warehouse operations. We've reviewed the sections of the California code for regulations for manufacturing cannabis that will become effective January 1, 2018. This review was done to determine if employing the InstantGMP™ solution can help a cannabis manufacturer comply. Our analysis suggests that the InstantGMP™ software, SOPs, and implementation can bring a cannabis product company 95% of the way to compliance with the manufacturing, packaging, labeling, and the track and trace requirements of the new regulations. The manufacturer can then use our consulting and customization services to become 100% compliant. The report includes specific activities needed to close the gap.